A meaningful funeral or memorial service is an important step in the healing process. 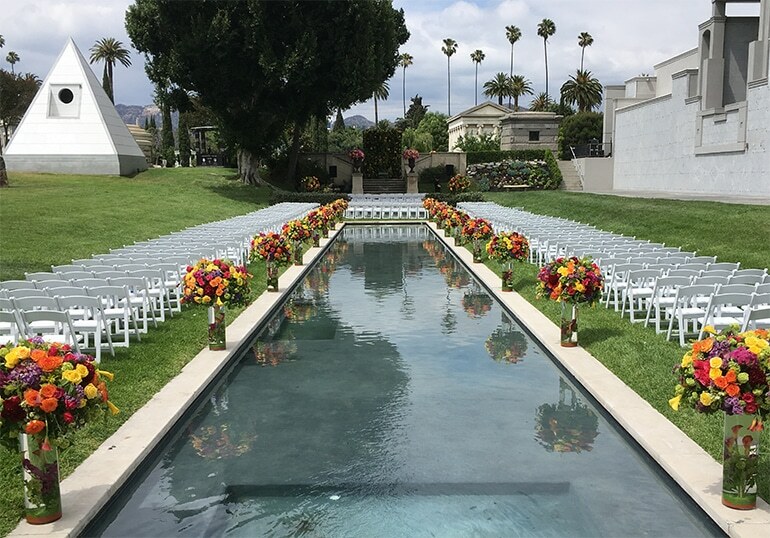 Hollywood Forever offers several beautiful venues for services, both outside on the cemetery’s beautiful grounds and inside its historic buildings. 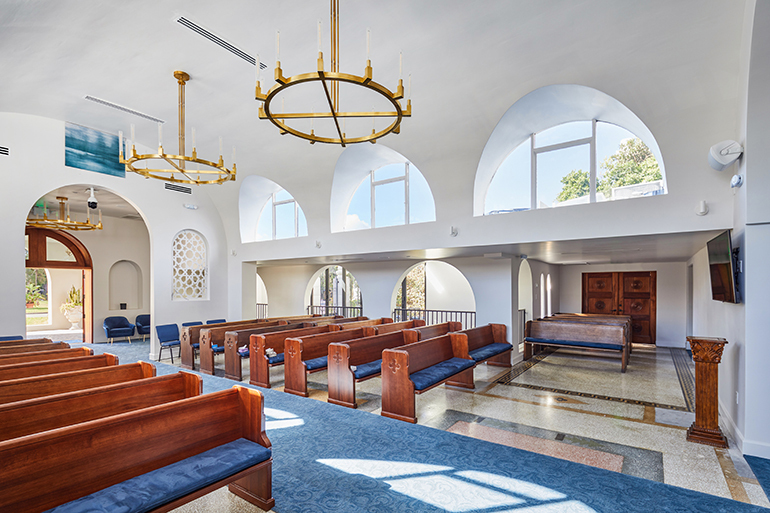 The newly expanded main chapel seats up to 120, with additional capacity on the garden terraces. The main chapel adjoins the crematory, allowing ceremonies and memorials to conclude with a leave-taking in the crematory. This configuration makes Hollywood Forever especially accommodating of Buddhist, Hindu, and Sikh traditions. 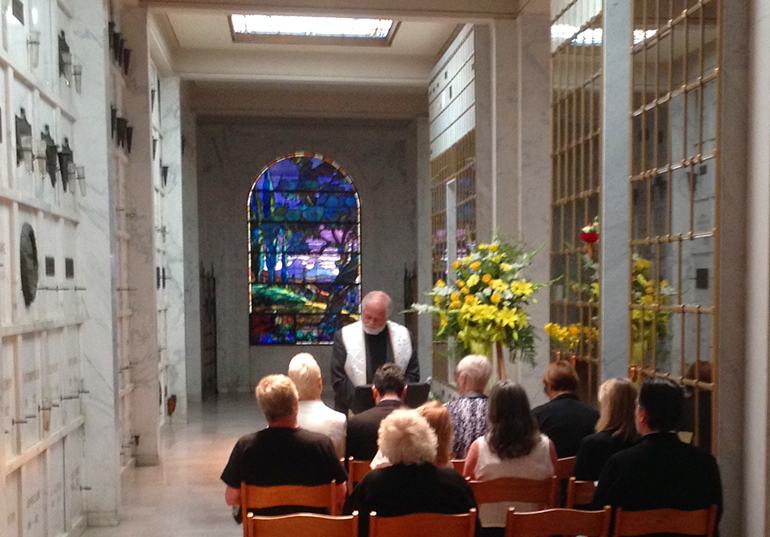 Grand, elegant, and serene, the Hollywood Cathedral Mausoleum provides a majestic venue for a funeral or memorial service. 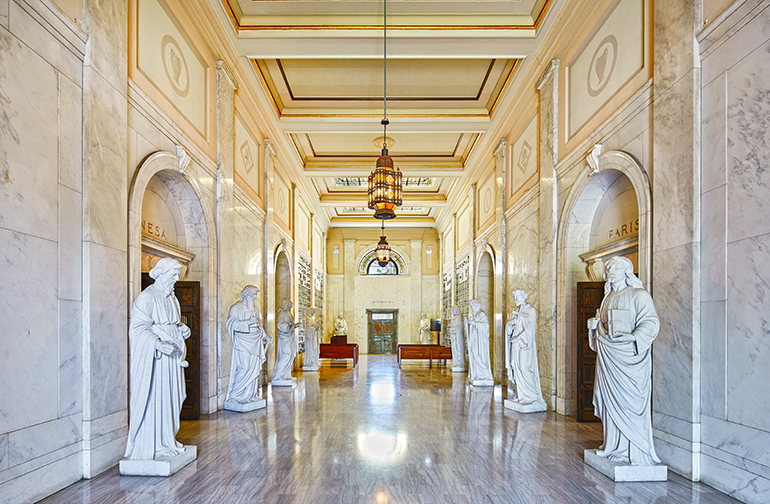 Located on the second floor of the cemetery’s administration building, the former headquarters of the Southland Masonic Temple is a unique, dramatic venue for a memorial service. 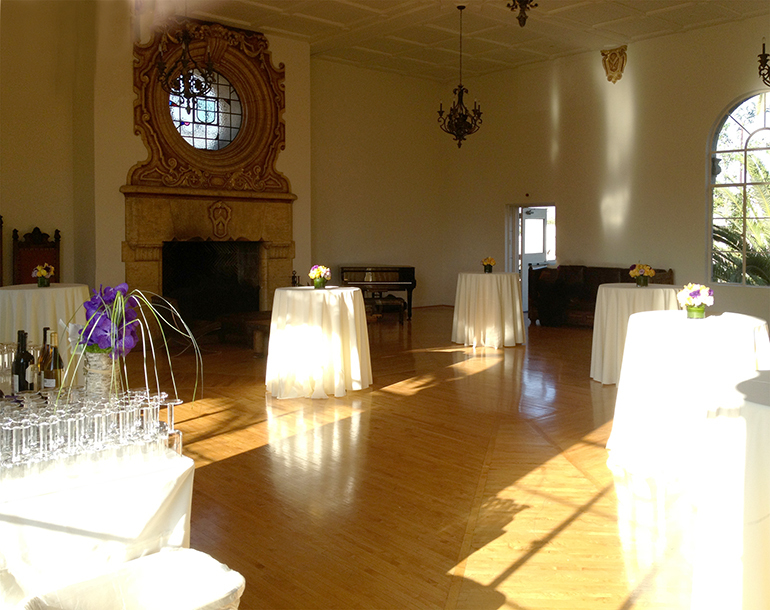 Originally the meeting room for the women’s auxiliary of the Southland Masonic Temple, the Eastern Star Room is a welcoming, sun-filled location for a memorial service or post-service reception. 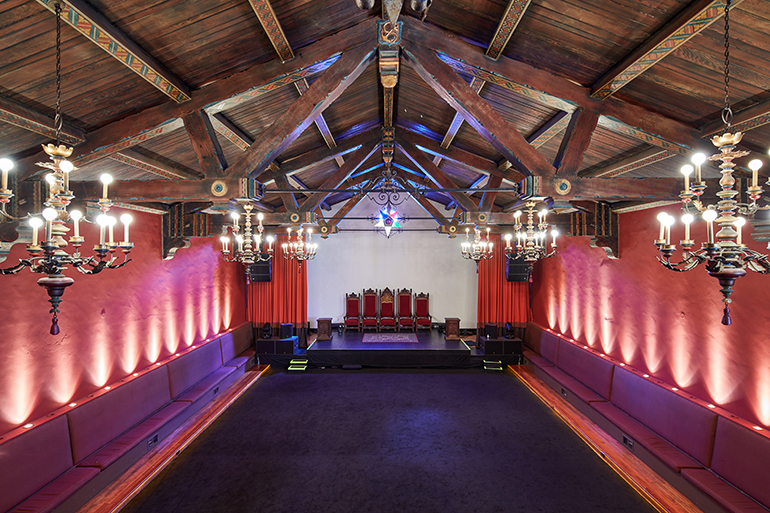 One of Hollywood’s earliest structures, the Historic Chapel is ideal for a more intimate service or reception. The Fairbanks Gardens are an idyllic setting for those who choose to hold a service enveloped in the beauty of the cemetery’s grounds. Sometimes the most intimate services can be the most meaningful. Opting to conduct the entire service at the place of interment — grave, crypt, or cremation niche — is often the best decision for smaller gatherings. 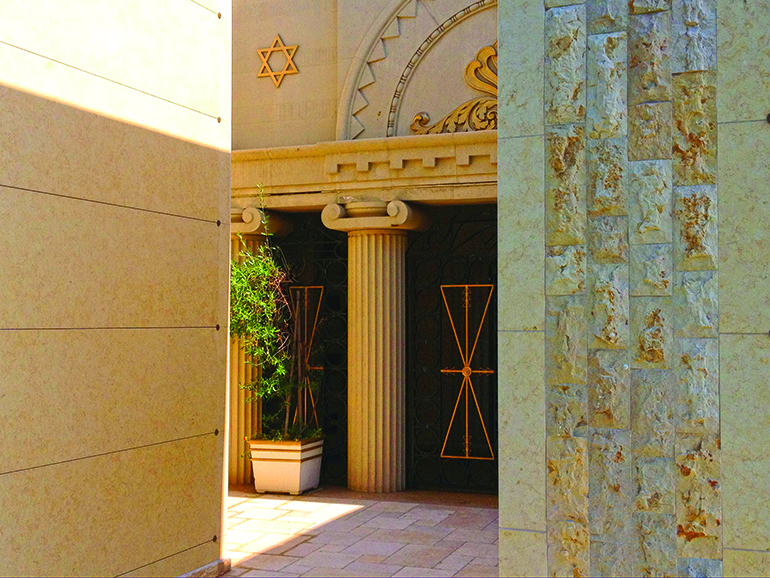 One of the oldest, active Jewish cemeteries in California, Beth Olam has been serving the needs of Southern California’s Jewish community for nearly one hundred years. Our funeral home staff can help a family create a service reflective of the extent to which traditional observance has played a part in their lives. Members of our staff are fluent in Spanish, Russian, Armenian, Thai, and other languages. We can help you create a memorial service in accordance with your family’s traditions. 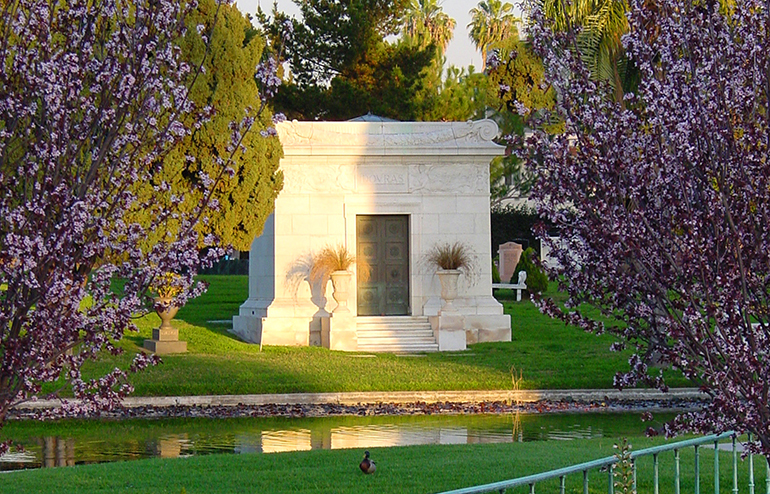 To learn more about Hollywood Forever’s funeral and memorial options, please contact us. 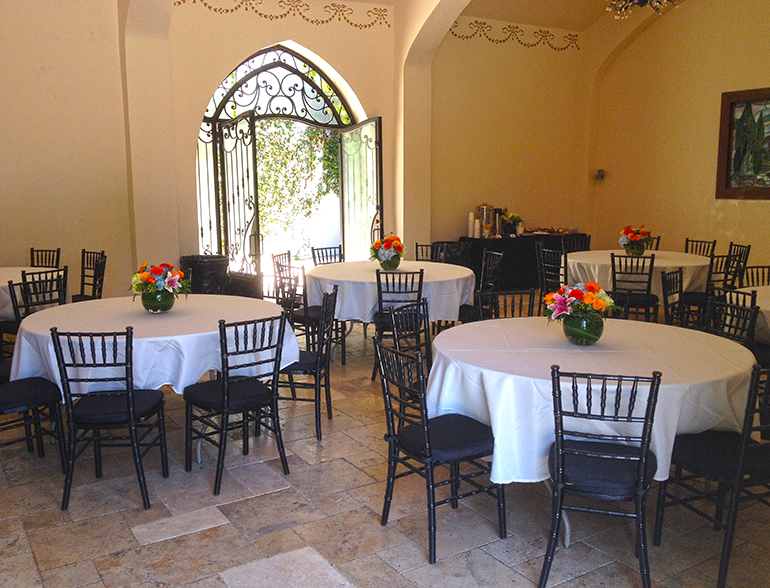 We invite you to visit us for a personal tour of our beautiful grounds and historic buildings.